Saved from the gutter-most to the utter-most…that was the thought I awoke with this morning. Lord. I said what do you want me to write for that someone who needs Your Word. This beautiful song by Howard E Smith I have not sung in ages was brought to my memory. If you are a child of God, wherever you are in life’s situation today – in the valley of sin, fear, doubt and despair, depressed or sick to your bones, Jesus wants to lift you up. Ask Jesus to help, comfort, strengthen and guide you – cling to His presence and abide in Him. Come alive, sing His praises and let His love fill your heart today. He wants to put a new song on your lips if you will let Him. Jesus does not save you in half measure He wants to lift you like the eagles above the storm and into the heavenlies for He is above the elements of nature and nothing, yes nothing is beyond His control. He wants to be your Saviour from the gutter-most – the deepest despair you have ever been in – to His utter-most, far above principalities and powers where the joy of the Lord can be your strength despite all that has happened, is happening and will happen to you. He cares for you and wants to save you totally from the guilt of sin and He can if you will hear His promise – I am the Lord that healeth thee – He saves, He heals, He keeps, He satisfies you if you will avail yourself of His healing. Praise the Lord. Know His victory despite your predicament for He comes in His victory and says – You are more than a conqueror in Christ Jesus. Yes claim that victory He bought for you when He rose from the dead – Victor over sin, sickness and the grave! Hallelujah, what a Saviour. Give Him your will, your life, your all and hold nothing back. He wants to give you His best – His Spirit in the midst of the storm. Let the love of the Lord lift you up from the waters of self pity and fix your eyes on the Lord who is able to keep you from falling today. Be safe today in Jesus let Him lift you up. Be blessed. Accept His blessing now. Thank You, Jesus. This entry was posted in A CLICK A BLESSING TODAY, CHRISTIAN LIFE AND THE WORD and tagged conqueror, eagles, love lifted me, victory, what a Saviour. Bookmark the permalink. Salvation is a continual process. 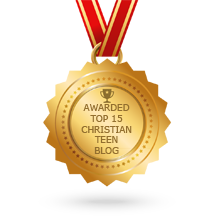 Loved the blog, PTL! Debradoo, yes it is a process. Thanks for your encouragement. Have a great weekend in the Lord. See you soon in another blog!